If you’re in a hurry, check out our top pick, Rokinon 35mm Cine T1.5 Lens. 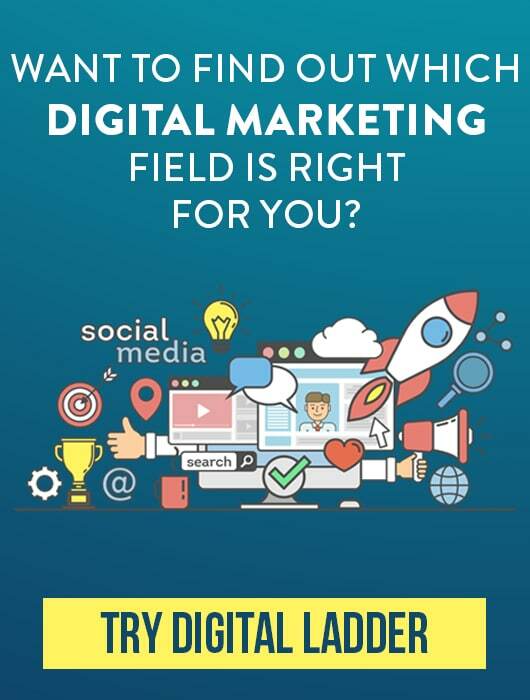 Youtube and Video marketing is blowing up right now along with podcast and one of the reason is because blogging has become saturated and people are getting impatient due to excessive use of smartphones. This is the reason why video and audio is becoming a good medium to attract and connect with your audience. In our recommended vlogging cameras guide which we wrote earlier for those who want to start their Youtube channel, we shared why Canon 70D is hands down the best and most professional camera choice for video bloggers right now. The reason why it has become very popular is because of the continuous auto-focus feature, which is missing in other DSLR cameras. 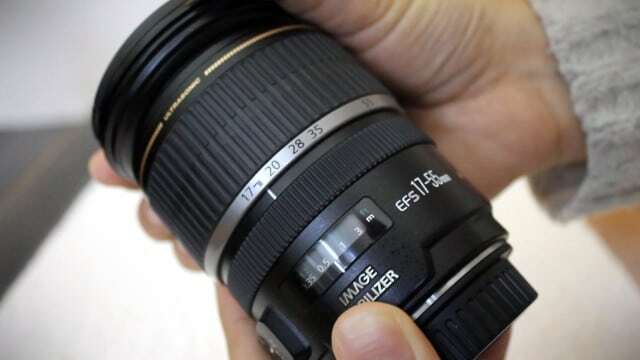 Now, we know a DSLR Camera is incomplete without a good lens and we received ton loads of emails enquiring about best lenses for shooting video with a DSLR camera. In this post, we will share the best lenses for video shooting with Canon, Nikon, Sony, and Panasonic DSLR cameras with which you produce videos for Interviews, Documentaries, YouTube Tech, or Fashion channels. 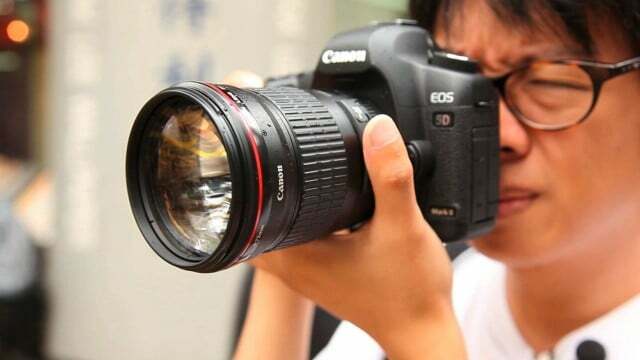 Before we give any recommendations for the best dslr lens for video, you should know that there are different types of lenses and within those there are different focal range and f-stops features. Below we’ll be recommending the Prime, Standard, Telephoto, Wide Angle and Fisheye lens as that is what most video makers use and are more than sufficient to shoot different styles and angles for videos. If this is your first time, make sure to get your hands on a lens, which has built-in image stabilization marked by “IS” which helps in producing stable shots without any jiggly movements which looks unprofessional. Note: All the lenses below are under $1000 because these are tried and test lenses. Of course there are higher quality lenses with a much better glass like the “L” series from cannon but do you really need to spend $2000 or more on a lens? For us, the storytelling is the most important of any video. As a video maker understand the angles and practice, and get better with your shots, editing, making better videos, and story with strong narrative. 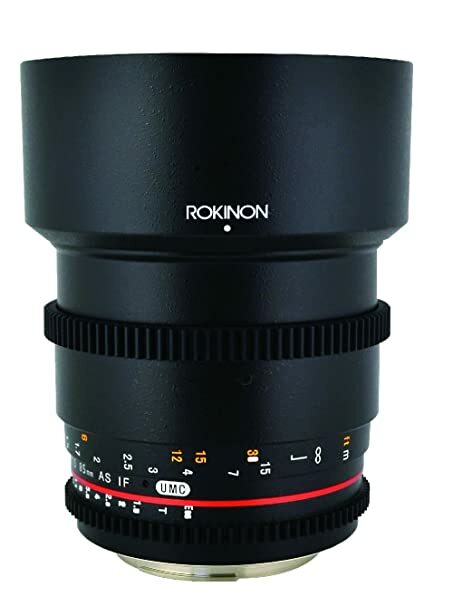 Prime lens are a must have in your arsenal and Rokinon is our first recommendation for the best prime lens for shooting video. Prime lens have fixed focal length so you are not going to get any zoom on this one but you’ll get a much sharper image which is why it is preferred for portrait photography too but this specific model is made for video as it can be used with follow focus for smooth focus. It has the perfect focal length for a prime lens and a de-clicked aperture, which gives much more control over aperture. It has a maximum aperture of f1.5 and a wide-angle field of view making it perfect prime lens for product reviews, especially for tech channels on Youtube. You can use it with a recommended Canon DSLR or any other camera like Nikon, Sony or Panasonic as it comes with different mount. We recommend the first one, which is the cheapest of all but has great build quality, which is an amazing deal for the price you are paying. You can get amazing crisp shots with shallow depth of field, superb bokehs, and excellent low light shots. Compared to the previous model, the new 1.8 STM has stepper motor, which means it focuses on objects with near silent, continuous auto focus for movies. It does not have Image Stabilization so make sure to use a rig or a tripod for shooting your product reviews. If you take interviews then you want a good running gun lens that has image stabilization. 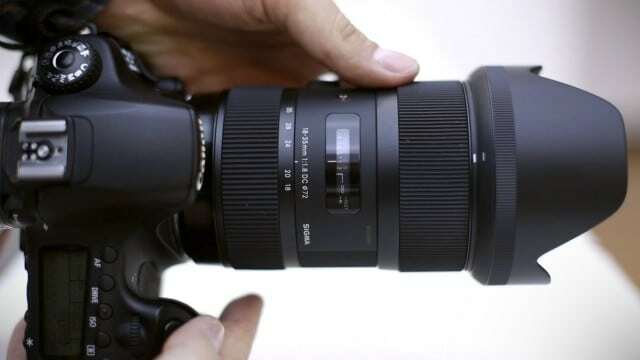 The Sigma 17-50mm makes a perfect hand held camera lens, thanks to its nice zoom range and constant aperture topped with image stabilization, you can get excellent shots with this beast. The built quality is excellent; the glass has multi-layer coating, which reduces flare and ghosting which is something you need when shooting outdoors. You can also use this for products shots outdoors for your tech channel. It is quite cheaper from a Canon or Nikon alternative and you can use this for Canon, Nikon, Sony or Pentax DSLR cameras so you can get similar results for a fraction of a price. 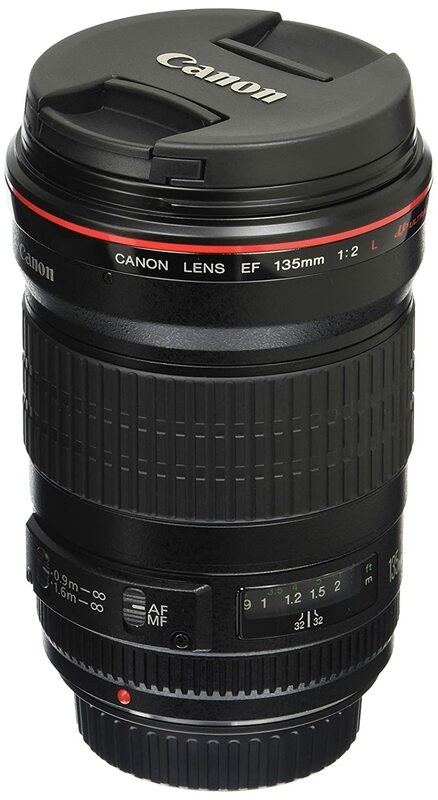 If you are a Canon user and want to get pure experience, you’ll want to own Canon lenses only. 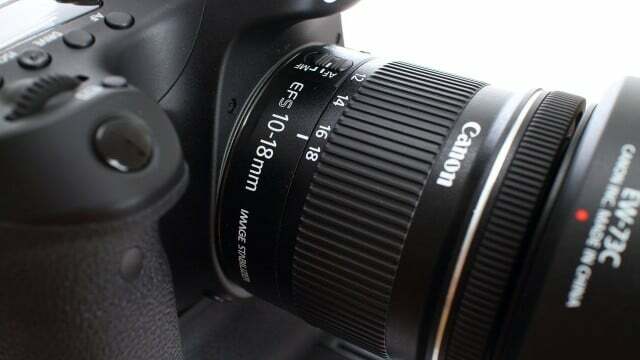 The Canon EF-S 17-55m f/2.8 is the same lens as the one we recommended above. It has same focal range, aperture and image stabilization making it an excellent camera for interviews. Comparing it with the standard kit lens, which is 18-55mm, this lens has much sharper image and excellent low light performance. Even when you zoom, you don’t lose any light at all so you don’t have to adjust ISO or brightness and get sharper image quality even when you are zoomed in. The f/2.8 is a very decent aperture ratio, which gives great blurred background shots for professional video makers. The f/2.8 aperture is constant like sigma and the auto focus is almost silent which is great, as you don’t want the camera to picking up unwanted sound. 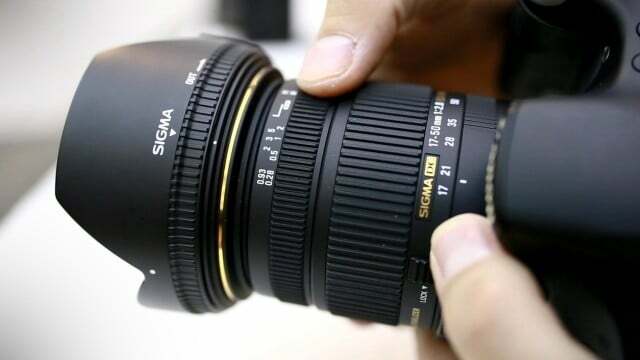 The Sigma 18-35mm f/1.8 is also known as the Tech Youtubers lens, used and recommended by influencers like MKBHD. Everyone talked about this new Sigma lens when it was launched because of its incredible sharpness, wider angles, and overall great performance. It has a great focal range and constant aperture, which gives amazing low light performance and blurred background with subject really focused. It is without doubt the most expensive on this list but if you could pick any one from this list, the Sigma would be the one we recommend. It comes with multiple mounts so you can use it with Canon, Nikon, Sony crop sensor cameras. If you are shooting documentary, you won’t know when or where your subject is going to move, you need to have a stable telephoto lens to cover long distance and get that sharp subject and blurred background which will give you cinematic shots for your video. The best thing about this lens is that this is a “L” Glass lens which is the best quality out there making it ideal for film and documentary makers. It can be used on full frame and APS-C cameras. It has very fast auto focus, which is very quiet indeed. Overall this is the best telephoto lens we recommend for shooting video where you need to cover moving subjects or objects that are far away. Once you practice and master using this lens, you’ll find that it delivers real value for money. We are sure you’ve decided which lens you want to buy as a prime and for interviews. 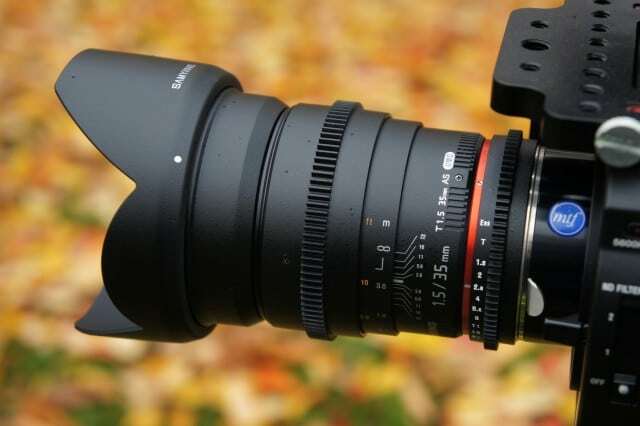 But if you fancy taking your video a step further, you need to try the cine lens by Rokinon. These lens are made with video makers in mind for cinematic effects, this particular model is 14 times less expensive than the Canon that is why we recommend it as it delivers great value. Cine lens has de-clicked aperture which means it is adjusted manually. 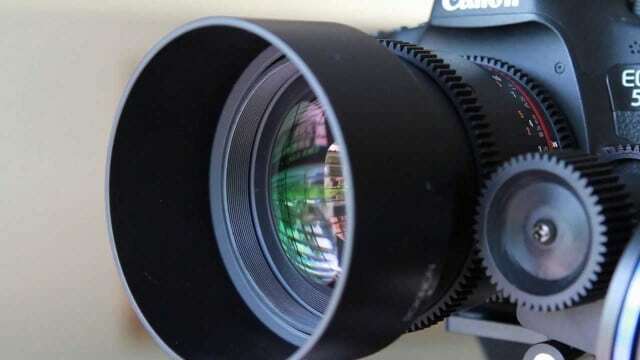 They have gears on the side of the lens to use with other accessories like follow focus or aperture control devices to allow videographers to maintain focus on moving focus with smooth dials connected to the lens. Everything is done manually on this cine lens, which requires a lot of practice. You cannot use it for run-n-gun, as it requires some time for setting up properly. The build quality great with very smooth focus and aperture ring, you can get this beast for under $300 which is a great deal for videographers who want to start using these professional level lens and accessories. Like other DSLR lenses from Sigma and Rokinon, you can use this with Canon, Nikon, Sony and other dslr cameras. Canon released this lens recently, which instantly made it our list of recommended wide-angle lens. 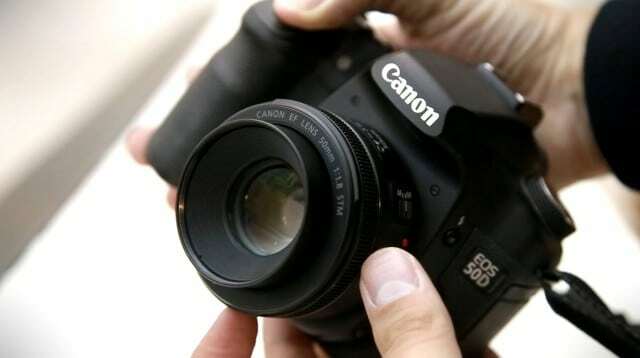 It is a STM lens, which means it will make almost no noise when focusing with cameras like 70D having hybrid auto focus. It has image stabilization so you can use it shoot great wide-angle shots even in handheld position. You can shoot excellent time lapse using this wide-angle lens and is a great option for those looking for an affordable first party wide-angle lens. Even though it is made out of plastic from filter thread to the lens mount, it delivers excellent results for the price point that it indicates and we definitely recommend having this in your camera bag. The maximum aperture is up to f/4.5 which means it is not great in low light situations and if you are looking for something that will give you great footage in low light, check out the Tokina Wide-Angle lens below which costs $150 more. 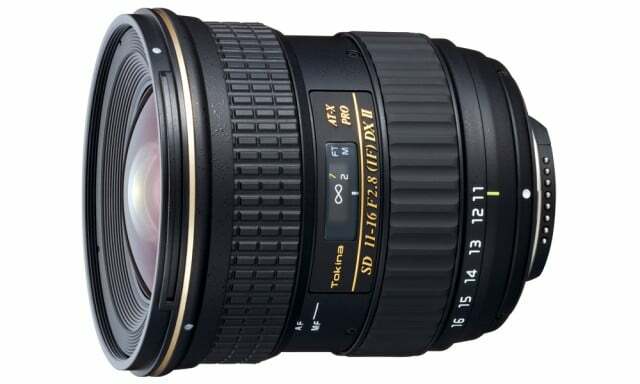 If you are not looking for a wide-angle lens from first party supplier, the Tokina is 11-16mm f/2.8 is the best wide angle lens that we can recommend for videos. Just like the Sigma, it has constant aperture so if you shoot tech videos, you can focus on an object and zoom with having consistent exposure throughout your shot. Even thought it is not as sharp as prime, it is great for covering events by covering wide field of view in small spaces. It is very popular among the filmmakers as it has a fast aperture and ultra wide angle. The build quality is much better than the canon and the mount is made out of metal that is very sturdy. 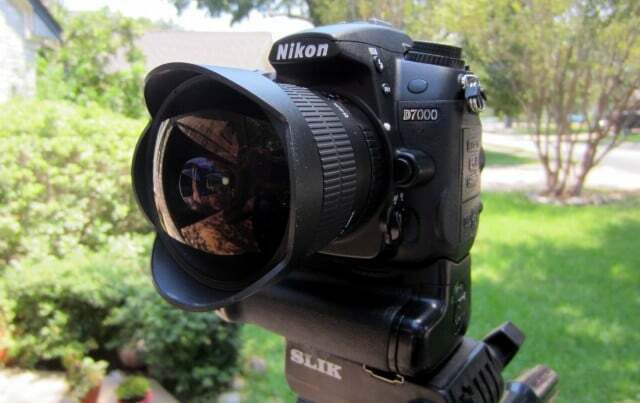 The wide angle lens is also great for shooting outdoors and filming timelapse shots. You can use this on Canon or Nikon as there are two mount options available on the market. Fish eye lens are one of the crazier type of lens out there that gives extremely wide field of view. If you want to get these shots, the Rokinon 8mm f/3.5 Fisheye Lens is a fun and affordable lens that we recommend. The wide-angle views are made popular by action cameras like GoPro, but professionals who use DSLR can get these shots using these lenses. It is a good lens to use on the crop sensor camera, if you use it on the full frame then expect to get that black circle around the video. It is a manual focus lens which is easy to use with buttery smooth dials. Both aperture and focus are manually operated so if you are into making those fun short movies then definitely pick this one up. This particular model is available in various mounts from Canon, Nikon, Olympus, Pentax, and Sony NEX and Alpha series.